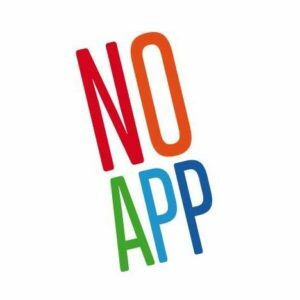 NO APP is an educational project promoting an active, positive and creative use of technological devices, dedicated to children and teens, but also to their parents and teachers. NO APP is a book published by Edizioni Lapis. NO APP is an invitation to exit the Apps to venture on the road of ideas: challenge yourself and use the smartphone to create something ..new and original! “No App places the creative emphasis on the children, not on the technology. In that way we find re-connecting with our hands and minds as the most important App! “. NO APP activities are between digital and real and engage children to train a “digital” handicraft: kids learning through play while making stories of shadows, backlighting drawings, recording audio stories and doing a self-portraits out the monitor. As Tinkering inspire us, we try to consider the smartphone as a “material” to be explored in all possible variations of the game, mixing technology and traditional materials and involving children in collaborative games.